Join Me at #BlogHer17 and Save $150! Are you an aspiring influencer, pro-blogger, writer, experienced social media star? Wherever you are in your journey, the #BlogHer17 conference taking place in Orlando this June is for you. I attended my very first BlogHer conference at the beginning of my blogging career the same day I left my corporate job in 2010. I walked right out of the office and directly into the registration line across the street in Midtown Manhattan to start a new chapter in my life. Back then, I learned a lot of the basic technical skills and industry etiquette I would not have known if it weren’t for the great sessions. I also made connections that led to my first big influencer campaigns. As a fashion blogger, I loved the big fashion show they had that year. Long before the style industry made diversity and body inclusivity a hot topic, this show already flaunted body shapes and full figures of all types. 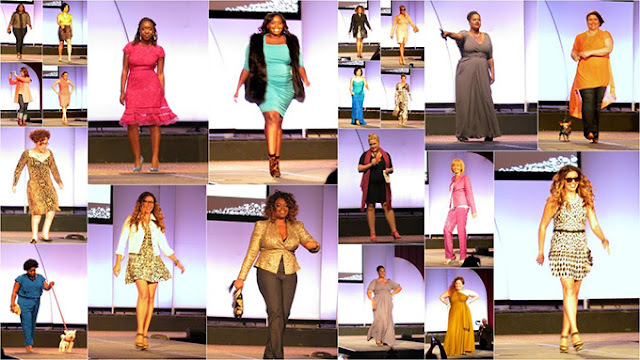 I saw models that were physically challenged, models from all backgrounds and the fashion brands who supported them. I didn’t know then how ahead of their time they were. By the time BlogHer 2012 rolled around, I had progressed quite a bit more in my career. Social media had changed quite a bit. I was proud to attend panels in a much more advanced track this time around. I followed seminars much more focused on business, networking and media training. Keynote speaker Martha Stewart ended up being the perfect example to demonstrate all the points we had just learned in that session. #BlogHer17 will have several tracks of sessions tailored to wherever you are in your digital influencer, blogger or writing career. If you are just starting to create content, there will be panels that help inspire your creativity. If you are a media star, network with other panellists to navigate legal issues, political issues, business contracts. The conference attracts a lot of brands that are supportive of this journey. I was always impressed with the value of going to this conference. You won’t go hungry, amazing teams organise and think of your every need, no matter what they may be. I love the inclusive, supportive culture at #BlogHer17. There are parties, brand experiences, outings that are planned, but that certainly doesn’t include the festivities you put together with your colleagues and new friends. If you get your ticket now, you can click here to save $150 off your #BlogHer17 pass. I am looking forward to a few days in Florida and would love to see you there! This post is sponsored by SheKnows and #BlogHer17; however, all thoughts and opinions expressed are my own.